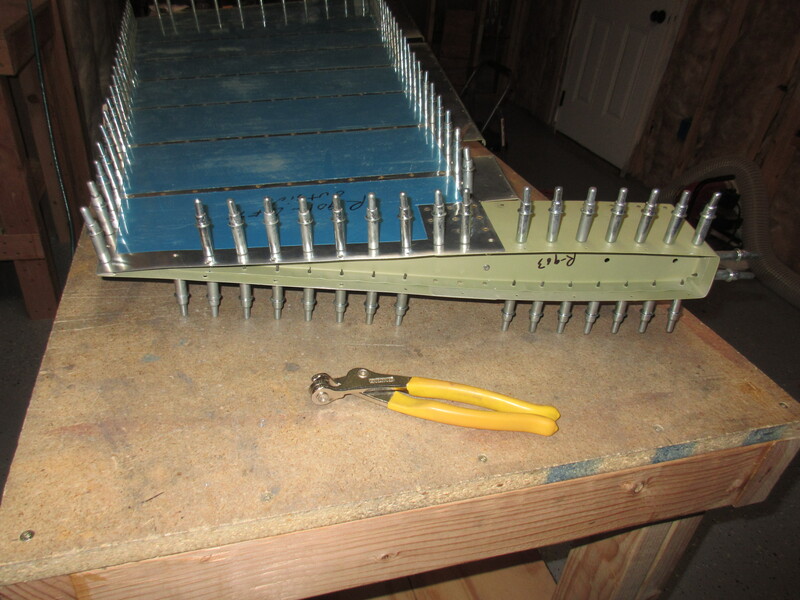 Tonight I started riveting the rudder together. I planned on getting the majority of the rudder riveted, while leaving the out the last few rivets along the trailing edge. This way I can more easily spread the trailing edge to make it easier to bond the trailing edge wedge and rivet it. I spent about three hours on the rudder tonight, and it came out really great so far! The work started by rolling the edges of the skins where it laps over the counterbalance skin. I used my edge rolling tool to accomplish this, and it formed a nice little break that will let the two lap joints fit nicely with no lipping. I also rolled the edges of the leading edge skin so that it will lap together very nice when I finally finish up the leading edge. After that, I studied the plans, as there are several spots on the rudder that require different sizes, and made sure I had the proper locations identified. 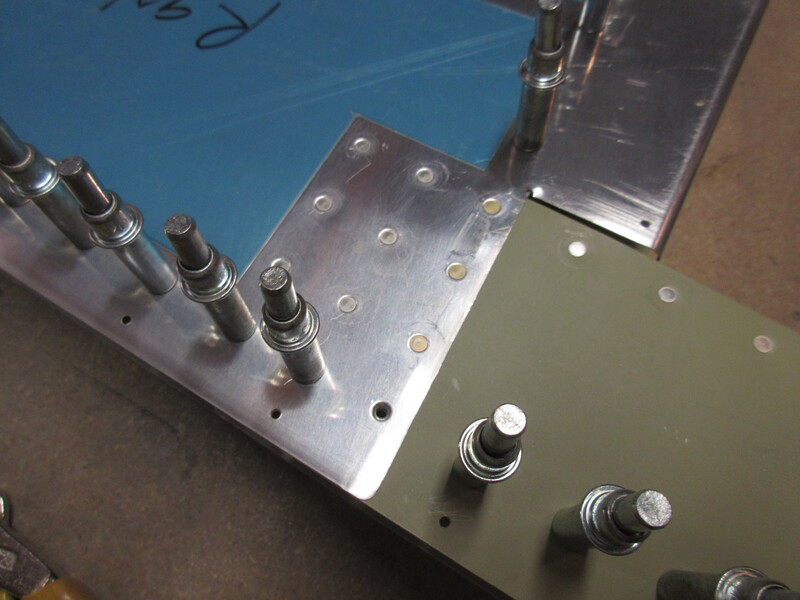 I started riveting at the overlap of the R-901 skin and R-913 counterbalance skin. 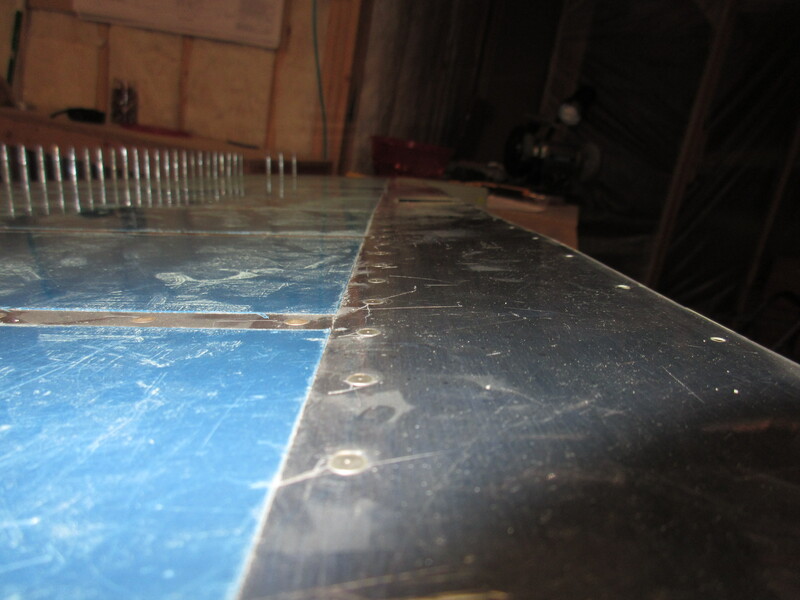 These rivets have to be set first, because they become inaccessible once we install the R-903 tip rib. Once I had these rivets set on both sides, I installed the R-903 tip rib and clecoed every hole because this is a rather compound and complex curve. 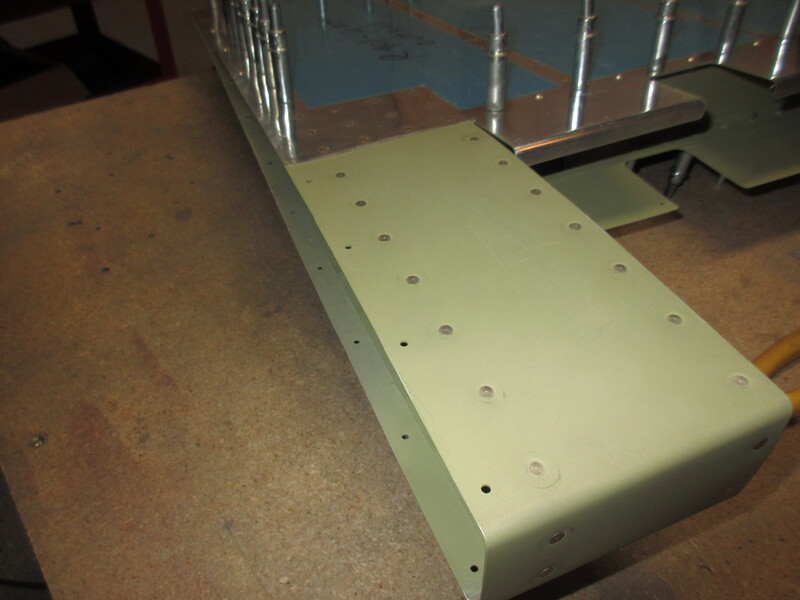 I started riveting by pop-riveting the rib to the R-902 spar per the plans. Then I used the AN426 flush rivets on the very leading edge, where the tip rib fits into the counterbalance skin and began working my way toward the tip, removing one cleco at a time and then riveting in that hole. 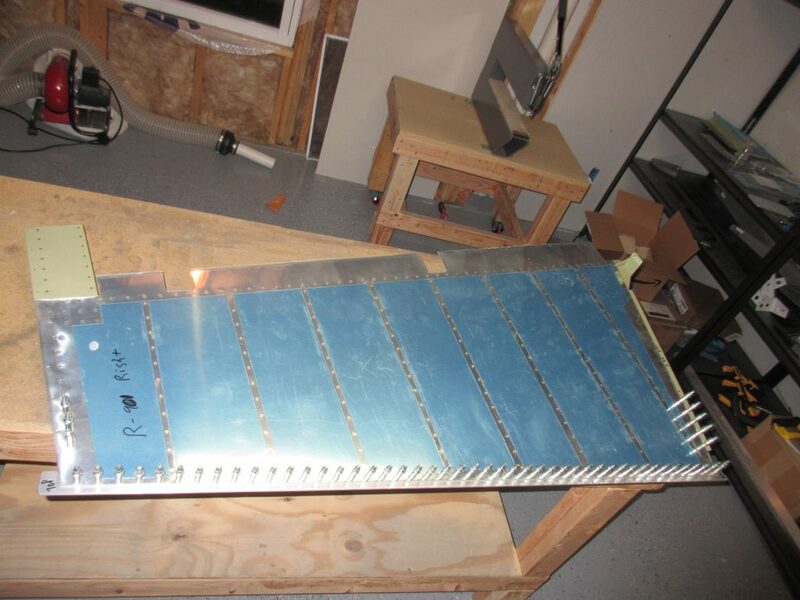 Flipped the rudder over and done the opposite side. 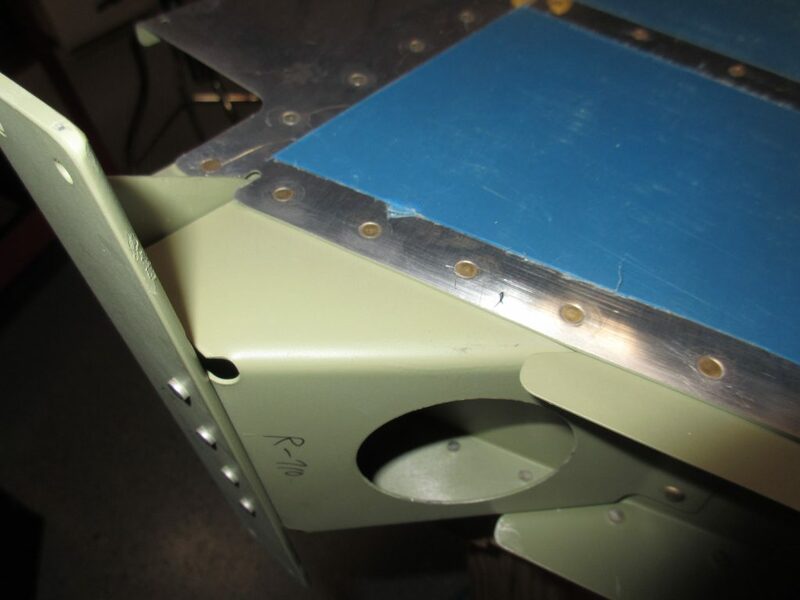 All that was left as this point was the bottom rib, the R-710 rudder horn brace and fiberglass mounting strips. I started out by swapping out the nose on my squeezer so that I could fit into the tight space of the rudder horn in order to set those rivets. I had BARELY enough clearance to get them done, but it worked out after being very careful with the squeezer. Tagged Rudder, Riveting. Bookmark the permalink.